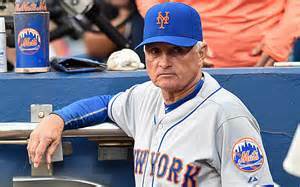 Before the recent World Series debuted, I read about veteran baseball manager Terry Collins. I’m not a sports follower, so it was both fascinating and educational to learn about the character of this 66-year-old man. Apparently he was fired 19 years ago as manager from the Houston Astros and then resigned from the Anaheim Angels due to overly grumbly players. But instead of growing bitter, he sifted through the criticisms and changed his style to implement the valid suggestions. This quote provides a classic example of the Fallacy of Composition. 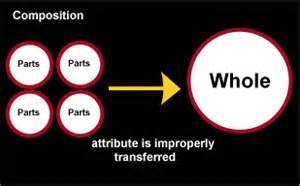 Simply put, this faulty thinking stems from attributing the attributes of individuals to the collective whole. Here’s an easy example – if one feather is light and I assemble a ton of feathers, that collective will also be light. Wrong! So with individual talented athletes, the mistake is in assuming that when you bring them together, the whole will be just as good as each single player. In reality, the qualities of a winning team are more than the individual players’ skills. There’s team work and respect for each other and teachability. We haven’t even mentioned the problem of clashing egos! Poor Terry Collins, he had his hands full apparently. And as painful as that experience must have been, he took his lumps and grew. That humility and a recognition of what it takes to mold gifted basketball players into a winning team took all of them to a World Series.